The sentimentality of baseball is very deeply rooted in the American baseball fan. It is the one sport that is transmitted from fathers to sons. 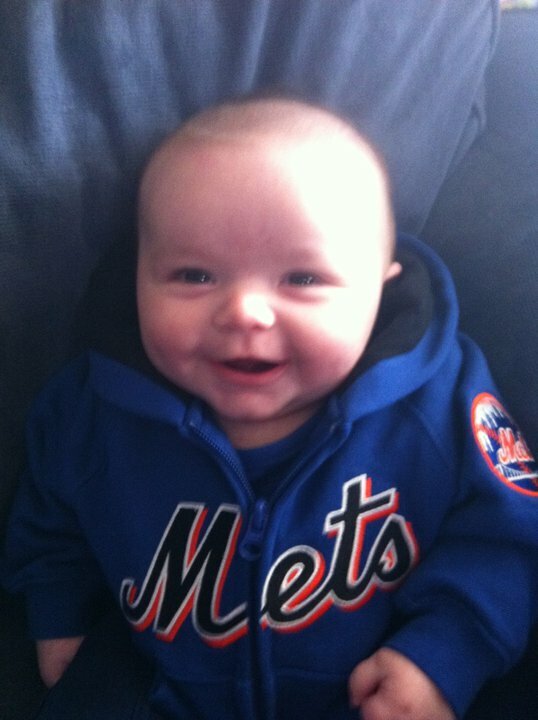 If there exists something called destiny then I was destined to be a Mets fan since before birth. My path to Mets fandom did not follow the traditional route, however. My father was what you would consider a casual observer of baseball, but by no means a fan. If a game was on, regardless of whether it was a Mets or Yankee game, he would watch it but it was never something he prioritized. I don’t recall now, but I imagine that early on I probably shared my father’s sentiment about baseball as well. I vaguely remember watching games in 1984 with him, but nothing stands out in particular. Just like my Dad, I was a casual observer, but I never made time to watch any particular team play, including the Mets. In fact, there exists out there (but it will never be shared!) a picture of me in a, gasp, Yankees jacket that I got as a birthday gift when I was five or six. Early on, for the most part, baseball was an after-thought to me. That all changed in 1985… It was in the spring of 1985 that my father took me to the first baseball game I could remember. I don’t remember the game itself, but I do recall it was a Mets-Dodgers game and, more importantly, I remember how special it felt to be there with him. Every memory I have of that night is not of the game itself, but rather of the moments I shared with my Dad, I recall pulling up to Shea Stadium and staring in awe at its size. I vividly remember my father flashing his badge to a fellow police officer who allowed us to park in a spot closer to the stadium, thinking how cool my Dad was to be able to do that. I remember the awe I felt at the flurry of people everywhere and the buzz of excited anticipation that I unexpectedly seemed to share with everyone else there. Most importantly, I recall walking out of the gate and catching my first glimpse of the field, amazed at how big it seemed compared to my little league field. Everything about those early moments seemed larger than life. My Dad, the field, the crowd, everything – it was like it was magic. No, it wasn’t like magic… It was magic. My Dad, forgetting he was security and rushing the mound right after the Mets won the World Series in 1969. Magic is the only thing I can attribute to how I was able to remain a fan of the Mets from the mid Nineties on. They had some good moments over those years, but let’s be honest, most of that time was spent with Mets fans like myself suffering through just awful baseball. I really didn’t care how poorly they played though, I still supported them. Then in 2005, my daughter Abigail was born. 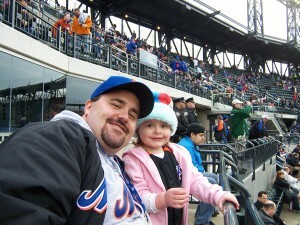 She was only a few months old when I took her to her first game at Shea. I repeated the process when my daughter Lorilei was born. Abby went with me to the first ever game played at Citi-field and she was even interviewed by a reporter from the Bergen Record. It was a special thing to be able to share my love of the Mets with my girls and, to be honest, it added an extra layer of love and magic to my beloved team from Flushing. I really never thought I would be able to top the feeling of sharing my passion for the Amazin’s with my girls until the birth of Richie in December 2010. Samantha and I did not plan on having a third child, but as is often the case, the best things in our lives are often unplanned and unexpected. Having had two girls already, I would be lying if I were to say that I wasn’t hoping for a little boy. When Rees was born and the Doctor proclaimed “It’s a boy!” I remember the unbridled joy I felt. All at once I envisioned a future where I would not only be blessed with little girls to dote over, but I now had a son who I could share “boy things” with. It’s not that I could not share those “boy things” with my girls… it was just different. I can’t explain it – nor do I want to. I don’t want to diminish how special it is to share all of my loves (including the Mets) with my daughters. Suffice to say, it is just different having a boy to share certain things with. My love for the Orange and Blue was no different. Right after Richie was born I had already laid out our future in my mind. The first order of business was making his nursery everything NY Mets. 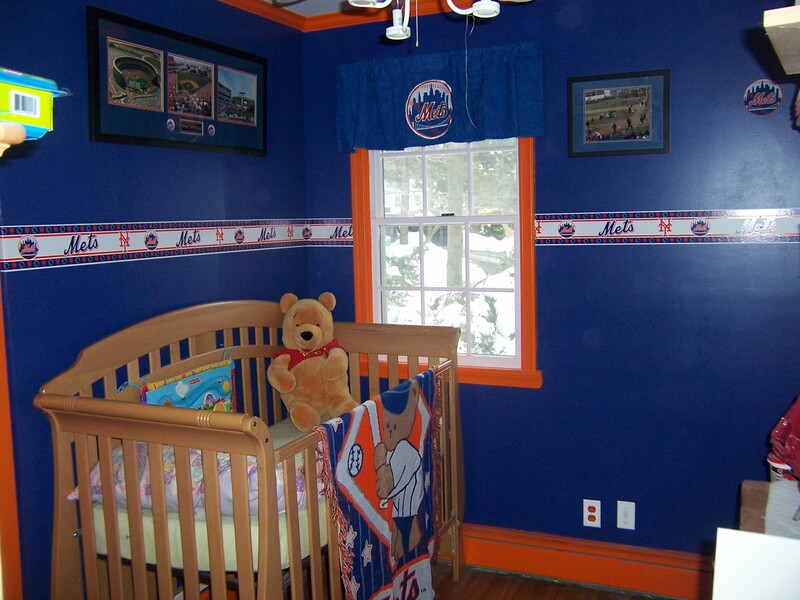 I got the official paint colors of the team and made his nursery a shrine to the team I loved – and hoped he would too one day. 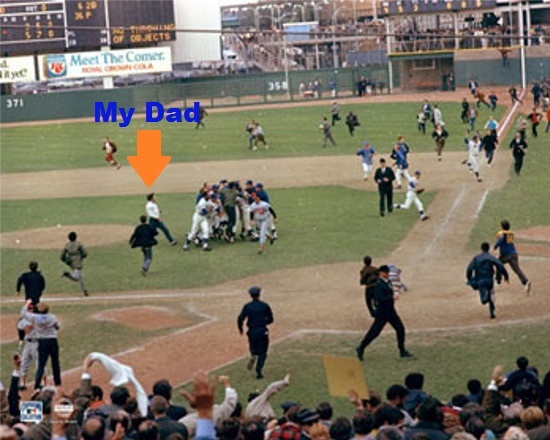 I placed the picture of my Dad storming the mound right in front of his crib, with a commemorative picture of Shea stadium adorning the adjacent wall. I littered the room with many of my Mets collectibles. I recall a moment, after I finished the room, where I pre-conceived the moment in my mind when I would take him to Citi-Field for the first time he could remember. I had it planned that I would make it special, just like my Dad did for me. I was going to hold off on sharing some of those stories, like my father before me, and let the magic of our family’s personal connection to Mets history wash over him. I was going to coach him in the intricacies of baseball and we would have long discussions about strategy and hot-stove baseball. Our future was going to be great. The possibilities were endless and the hope of sharing a World Series victory with him was absolutely tantalizing. Sadly, that future never came to be. 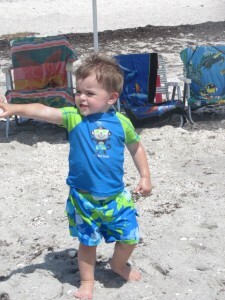 The enchanted destiny I envisioned for me and my little boy ended on October 27th, 2012 when Richie passed away after a drowning accident in our backyard. Every magical moment that existed in my foresight was swallowed up by that hole behind my house.Instead of a lifetime of memories with my little boy, I found myself left living an existence tainted by “what if’s?” and “could have been’s”. It was no longer magic that I associated with the Mets after that moment; it was tragedy. It was pain. To be honest, it remained that way for the next two years after he passed. 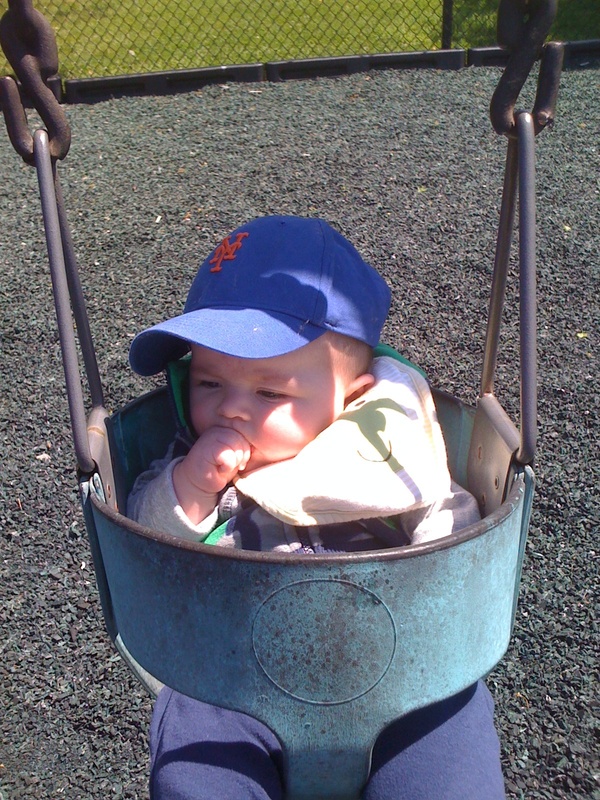 While my love for everything was diminished in some way by the loss of my only boy, there was a special pain and hurt forever associated with the Mets and that damned truck. I hardly watched any games in those two years and I only went to maybe two or three games total. Watching the Mets provided me with a constant reminder of those “what if’s?” and “could have been’s”. It hurt too much to love my team – and as with anything that causes us pain, I avoided the Mets, almost entirely. The other thing about pain is that, even when it’s chronic, we eventually begin to build a tolerance. That tolerance began with the beginning of this season. For the first time in two years, I renewed my subscription to the cable channel that carries the Mets games. I started watching them again and I found that the pain was slowly, but surely, replaced with joy again. I took my family to several games and I even took a road trip and caught a game in Atlanta. Why the disdain? That is simple… Storms don’t care. Storms don’t abide by any schedule. Storms have no mercy. No remorse. No memory. They just are. They exist because the laws of nature demand that they do… No other reason. Nature, very simply, is a double edged sword. For all of nature’s grandeur, there must also be the dull minutiae. For all of nature’s serenity there must also be disruption. It is said that nature abhors a vacuum. In terms of storms, that couldn’t be more true: Balance cannot exist without equal parts positive and negative. For my family and I the news of the approaching storm is causing more than a groan. While the physical damage to my world wrought by Sandy was fixed right after the storm, the mental damage will always remain. Superstorm Sandy will forever be linked with the chain of events that lead to the death of my son Richie. Simple cause and effect tells me that if the storm had never come, there would be no need to expedite the cleaning of my yard and the series of events that lead to Rees’ drowning wouldn’t have happened. All of the sudden I find myself teleported back to a time three years ago. Here we are in the fall, waiting for a potentially huge storm to hit and having to think about the preparations we must make. It seems like every conversation I have with my wife is a repeat of the very words uttered 3 autumns ago. It all hearkens back to a time I would rather forget. It’s not just words that are the same either. Just like before Sandy, we have two older daughters and a baby/toddler. We have a new, wonderful Au Pair who has settled in nicely in the past month. The track of the storm is similar. The timing (after a weekend) is almost the same. 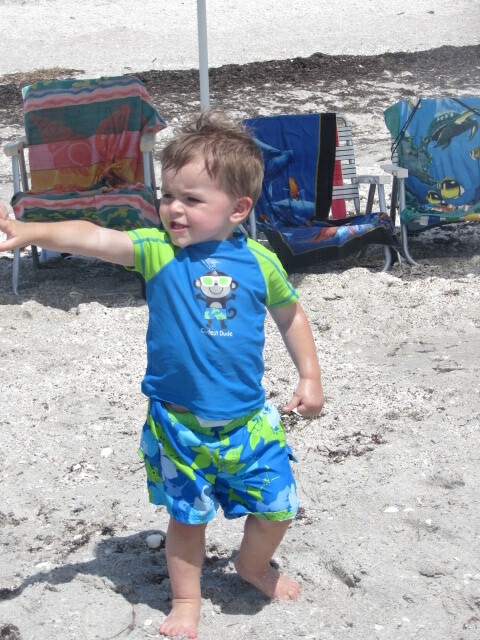 Everything feels like it did three years ago, except one thing: Our little boy is gone. In a very real way both Samantha and I feel like all the similarities of this storm marks a march towards an inevitable outcome. While my eyes see radar maps showing the swirling vortex of clouds headed for us, my heart sees the grim reaper with his blades spinning getting ready to take another piece of my family. It sounds so irrational when I write that, but it is exactly how I feel. The storm that is coming feels like a march to the inevitable. The rational me keeps trying to reassure myself that every connection I am making is merely a confirmation bias. I keep trying to tell myself that my fears are due to the personification I am giving the storm. Yet for all of that left-brained thinking, how can I understand that a storm is simply a necessary part of nature, and also think it represents death incarnate? In my mind, these two thoughts have no place together; their mere mutual existence should effectively annihilate each other. For someone like myself, who strives to make logical sense of everything, this is a problem that vexes me even further.